When Is a “Missed Dose” of Sprycel, Considered “Missed”? 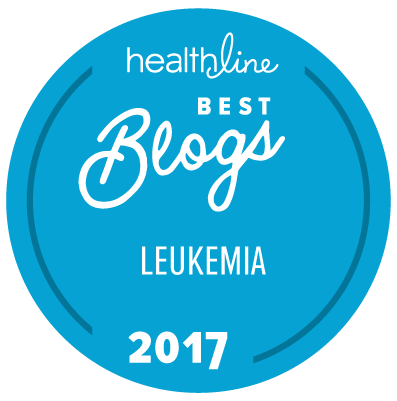 For those of us that are living with Chronic Myelogenous Leukemia, the journey is not only long, but complicated, as well. It is a journey that has many ups and downs, and many, many different winding roads, that often lead us, straight to a Dead-End. When we reach a Dead-End, most of us will turn that Dead-End into a U-Turn, and just keep plugging along. It is often confusing and frustrating and, always exhausting. For those of us that are inquisitive and want to take control of our lives, and closely monitor our disease, there is a plethora of information available. We are the type of patients that need a doctor to explain things to us, and take the time to listen to, and answer, all of our questions. With the availability of social media, we are able to lean on one another for support and news flashes, and commiserate about our latest side effects, as well as revel in our latest achievements. Just knowing that others are going through the same thing, gives us strength. Social media is precisely what led me to this discussion. I recently posted about an increase in my Bcr-Abl, in my past few PCR tests, and about the increase in my dosage of Sprycel, as well as the frequency, in which I was to take it. I have had my dosage of Sprycel altered several times, based upon my adverse side effects, as well as my PCR results, and am currently taking 140 mg of Sprycel , six days a week. As a CML patient, I know how very important that it is to take your medication EXACTLY as prescribed; never missing a dose. I know that missed doses add up and can cause an increase in our PolyMerase Chain Reaction test, and that neglecting to take our meds can allow our cancer to mutate and take over our bone marrow. Because of this education, I have NEVER missed one single dose of Sprycel. Oddly enough, I had never even considered my “days-off”, as a missed dose; that is, until another CML-er brought to my attention, that over the course of a month, taking Sprycel six days a week, I, essentially was “missing” four “doses”of Sprycel. After pondering this, all night long, I shot an email, off to my doctor. I am not the kind of person to just settle for “any” doctor; I doctor shopped and did my research. The doctor that I am currently seeing ran several Sprycel trials, before it was even approved by the FDA and is considered an expert, in treating patients, with Sprycel; for CML. 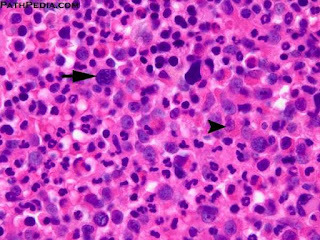 He has presented his findings at the annual American Society of Hematology and is also still in research, for CML, at UCLA. This doctor is the third doctor that I have had since being diagnosed with CML, on February 8, 2011 and I hope and pray that he knows what he is doing! I have thus far felt confident in my choice. Fortunately, my doctor is easily accessible; I have direct access to him, via either email, or cell phone; he is used to me panicking, reading and researching anything and everything that I can find, on CML, so receiving this email from me, will come as no surprise. Luckily, he never makes me feel as though I am questioning him or his expertise; we are a good team. Send; now wait for a response. I was properly freaked out and anxious. That being said, I suppose that now I will just have to wait and see. 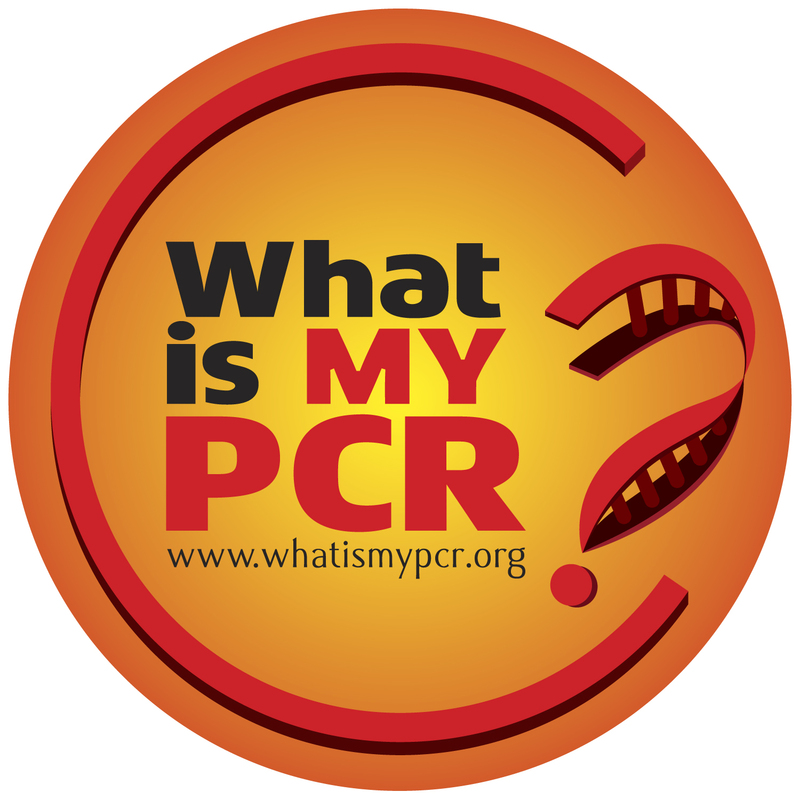 My next PCR is on January 4th, 2013; almost two years after my initial diagnosis. All things considered, I think that I am on the right road! Last night, Joe and I went dancing for the first time, in quite a while. For the past six months, we have been extremely busy; selling a house, buying a house, planning a wedding, getting married, moving, getting settled in, buying a truck, having company and traveling between Boise and southern California. Needless to say, there has been little time for anything extra. Since we are finally, relatively settled, we have actually started teaching a few group classes, as well as attending a local dance or two. It was during a conversation that I had last night, that I realized just how important pushing myself, to do all of these things, really is. Living with cancer on a daily basis is no picnic in the park. I am constantly fighting fatigue and an allover “flu-ish” feeling. My skin hurts and I am often nauseous, a headache has become the norm; I am adjusting to a higher dosage of my oral chemotherapy and worrying whether or not it will be successful. This is my life; this is what it is and it is not likely to change, anytime soon. So, back to the realization I had during a conversation that suggested that maybe, by dancing and holding dance classes, once a week or so, that I was putting too much of a strain on my body and pushing myself, too much. After thinking about that for about a millisecond, I responded that it I were to “listen to my body” and allow it to “rest” whenever it told me to, I would never get out of bed, or leave the house. I would easily become a hermit that had no reason to live. I would quickly become depressed and my ability to “push” myself would rapidly decline. My body would join me in a downward spiral. My muscles would deteriorate and my spirit would wane; I would cease to be “me” and lose my fighting spirit. 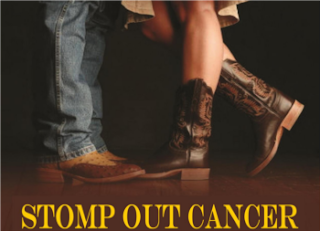 Losing that fighting spirit would allow the cancer to have a stronger hold over me; and my body. So, no matter how crummy I feel, I force myself to get dressed everyday (sometimes not until the afternoon), and either go for a walk or turn on my Yoga DVD; sometimes, I even accomplish both goals. Making it to a night time dance is a little more difficult because it is at the end of the day, but when I am there, seeing my friends and hearing the music, lifts my spirit and gets me dancing. I find that as long as I keep moving, I can trick myself into believing that I am OK, and I can keep on dancing, despite the wobbly legs and shaky hands. Sometimes, pushing yourself is just what the doctor ordered. The way I see it is, that I can either push myself to the grave, dancing all of the way, or just start digging the hole! So, for now, I will continue to push myself, right through the rest of my life. It has been three months since my doctor increased my dosage of Sprycel from 100 mg, six days a week, to 140 mg, five days a week. That is an increase of 100 mg a week; not much, but my doctor prefers to take a cautious approach for two reasons. The first reason is to avoid toxicity; the second is to give me the best possible response, with the least amount of side effects. In other words, he wishes to give me the longest and best quality of life. Needless to say, I was anxiously awaiting the results of my PCR Test after being on this regime for three months. My doctor, as well as myself, expected nothing other than a decrease in my Bcr-Abl. Unfortunately that was not the case. I actually only had a slight decrease from 3.89 to 3.49 x 10-4, which is almost exactly where I was one year ago, in October of 2011, at 3.99 x 10-4. What? One year down the road and in the same place? This realization is quite discouraging; I have followed doctor’s orders to a “T”, I have taken every dose of Sprycel, on time for the past year, and I am exactly where I started. I am at square one, taking more medication than I had hoped to be taking at this point. I now look back and wonder whether or not I should have questioned my very first doctor when he started my treatment with the highest, possible dose of Sprycel. He was not a CML specialist, so he was simply reading the guidelines for someone in the acute phase of chronic myelogenous leukemia, not the chronic phase, which it was determined, despite my 385,000 white cell count, that I was in. Maybe he knew what he was doing! My subsequent doctors did decrease my dosage of Sprycel to a more therapeutic level, but evidently either my bone marrow has figured out a way around the drug, or my Bcr-Abl genes are particularly stubborn. I am hoping and praying that I do not have a mutation going on, and that my NEW regime of 140 mg of Sprycel, six days a week will do the trick. My doctor is of the mind that my body may simply be taking its’ time in responding to my increased dosage. So, for now, I will take my medication, like a big girl, six days a week, and hope and pray that come the New Year, I will have good news. I will do my best to not dwell on the fact that I am starting the second leg of my race, all over. This time, I plan to come in First Place! Prescriptions: Always Double Check Them; Be You OWN Self Advocate! Once again, I am appalled by the lack of competency, in people. I do not know exactly “who” dropped the ball THIS time; I only know that once again, it was dropped. Many of you already know that I have Chronic Myelogenous Leukemia, and that it is treated with an extremely potent and expensive drug. 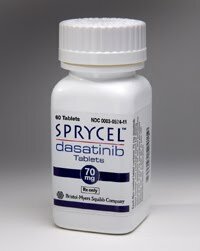 This drug is called Dasatinib or Sprycel, and I receive it monthly, directly from the manufacturer. For those of you with CML, you know the importance of taking your medication regularly and on time, as prescribed by your doctor. It is imperative for those of us with CML, to follow our regime exactly as our doctor has instructed us to do. Knowing that my survival is dependent upon doing my part, I listen carefully to what my doctor has to say, I ask questions about my treatment, and if I am ever unclear, I ask again. I also keep extremely accurate records of my own test results and treatment plan. I keep myself educated on my cancer and I carefully follow my treatment plan. So, when my latest prescription arrived in the mail, I opened the box and checked the Sprycel bottle. The bottle that I received was 60, 100 mg tablets of Sprycel. Now, that would have been great, if my doctor had not changed my prescription three months ago, due to an increase in my Bcr-Abl gene. My current dosage is 140 mg of Sprycel, not 100 mg. Now, I do not know whether or not “Murphy” is a part of your life, but I do know that he seems to run mine. Just once I would like to receive something that did not require a phone call, or an email, in order to assure that everyone is doing their job. You would think that as important as medication is, that you could count on the professionals to deliver your prescription accurately. It seems as though the correct prescription is on file, someone just screwed up! Surprised? You should not be. Errors like this are made every single hour of every single day. As a patient, it is imperative that you check and double check everything and anything that the medical professional is giving you. You MUST be responsible for your own health and your own body. You CANNOT count on ANYONE to be 100% accurate 100% of the time. You must educate yourself and take part in your own care. It is your own life that is in jeopardy here; you live with yourself 24/7, your doctor sees you a minute amount of that time. Take notes, know what you are taking, how much and how often. Learn how your medication is affecting your disease and ask questions. Take control; do not take anything for granted. I cringe at the thought of how many people would have simply not noticed that they were given an incorrect prescription. In my case, if I had blindly continued to take two tablets, as prescribed, I likely would have quickly become toxic. My prescription is for two 70 mg of Sprycel; I received 100 mg tablets, which would have meant, if I had not noticed, I would have been taking 200 mg of Sprycel a day, instead of 140 mg. In a weeks’ time, I would have consumed an excess of 420 mg of Sprycel; this could have been deadly. Moral to my story; NEVER take your life, of your treatment for granted. 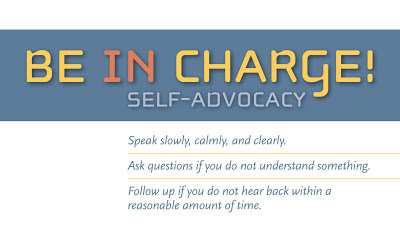 Become involved when you are faced with any medical condition. 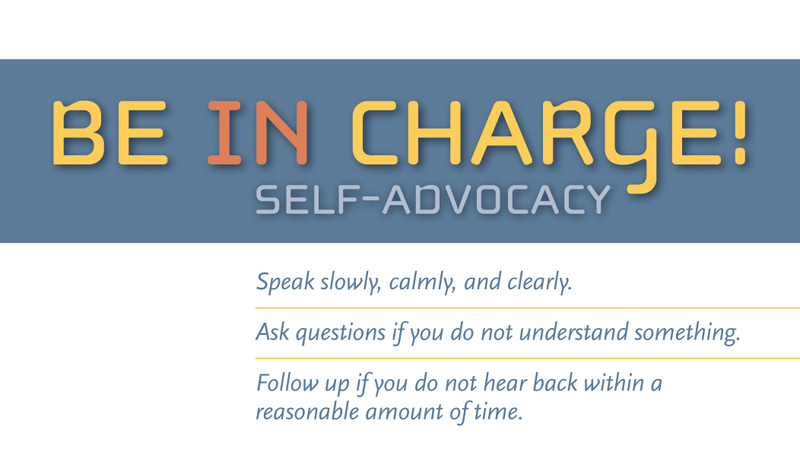 If you are too ill to be your own advocate; appoint someone. Educate yourself; doctors, pharmacists, drug companies and all of the workers in between, are only human beings; they can and they do make mistakes. Needless to say, I am forever researching the latest and greatest treatments for leukemia. I really feel that I need to continually educate myself about chronic myelogenous leukemia, as I can never count on the twenty minute doctor appointment, that I have every three months, to do so. My appointment typically consists of an overall view of my current vitals, as well as my response to my treatment. I do not think that discussing the newest trends in medicine are high on any doctor's priority list. So, that is why I am continually educating myself, so that if I find a new treatment or break-through in CML, I will be able to bring it up with my doctor, and hear his opinion. Chances are that he may or may not have even heard, or read the same articles that I find. Sometimes what I bring to him is a total bust, other times, even he is enlightened. One of my latest finds is the article below; it seems to be a plausible theory, in my opinion. I thought that I would share it with you. New cell research from Israel suggests the need for a radically different approach to chemotherapy. For cancer patients undergoing treatment, the ups and downs can feel like living through one of those B-level movies where the zombies just never seem to die: Victories of remission can quickly end in disappointment as the cancer returns once more.Why this happens has long puzzled scientists around the globe, but a new multi-center team in Israel whittles the problem down to the roots of where cancer begins. The Israeli researchers built a unique “family tree” of leukemia cells from living cancer patients to understand more about how cancer cells divide, spread and can outlast chemotherapy treatments. This world’s-first will likely have profound implications for the way leukemia and other cancers are treated in the future, the researchers expect. In the medical journal Blood, Israeli researchers — including Noa Chapal-Ilani, Prof. Ehud Shapiro and Dr. Rivka Adar from the Weizmann Institute of Science and Dr. Liran Shlush from the Technion-Israeli Institute of Technology — explain that tracing cancer stem cells back to where they began sheds light on how cancer reappears. Until now there have been two main theories about why some cancers return after treatment. The Israeli study results may just put this debate to bed. One theory is that chemotherapy can’t kill each and every cancer cell. The few cancer cells left behind eventually divide out of control again, leading to a relapse. The other theory is that while chemotherapy may be good at killing run-of-the-mill cancer cells that divide rapidly, it fails to vanquish slow-dividing cancer stem cells. This second theory was supported by the evidence. It’s all in the family tree. Investigating the genetics of leukemia cells with the aid of computational biology, the researchers came to a new conclusion: “We know that in many cases, chemotherapy alone is not able to cure leukemia. Our results suggest that to completely eliminate it, we must look for a treatment that will not only eliminate the rapidly dividing cells, but also target the cancer stem cells that are resistant to conventional treatment,” said Shapiro. Looking at how genetic information in leukemia cells is passed on as the cancer divides, they systematically reconstructed the cell lines – “family trees” of leukemia cells – from two patients to better understand how the cancer evolves. One cell lineage was from a patient just after diagnosis. The other was from a patient who had undergone chemo and was suffering a relapse. The younger cells were shown at the tips of the branches, and the original or oldest cells at the base of the tree. Knowing that genetic material undergoes changes during cell divisions that get passed on to future generations of cells, the researchers were able to trace and compare mutations in order to pinpoint where the common ancestor, or the deadliest cancer stem cells, originated. The leukemia-cell family tree demonstrated that cancer returns not from rapidly dividing cells that failed to be obliterated, but from slow-dividing cancer stem cells that are resistant to the typical kinds of chemotherapy that target rapidly dividing cells. According to the researchers, this new finding can help lead to a new approach aimed at completely rooting out the cancer stem cells. Since chemotherapy most commonly targets only rapidly dividing cells, this would represent a paradigm shift in attacking cancer. I have decided to take the positive road on my increase of medication. Now, instead of having to take Sprycel six days a week, I will only have to take it five days a week. Yes, it is a larger dose, but it is still only five days a week. So far, the only real ill effects of the increase in milligrams are that I now start my tired, “flu-ish” feeling, a bit earlier in the day. My witching hour used to be around three or four o’clock in the afternoon and it is now beginning around one o’clock in the afternoon. Not great , since I rarely drag my bum out of bed before 10:30 or 11:00 am, as it currently stands! The only other annoyance that I am really noticing, at this point, is that my hair is starting to fall out again. It was finally starting to grow and to look more “normal”, so the extra hair floating all over the house is not a welcome site. I have warned Joe to use extra caution, when consuming his meals. On the upside, I will save money on shampoo and conditioner! I am hoping that by increasing my intake of Sprycel, my Brc-Abl gene will respond by reducing its’ numbers, in a big way! I have a slight concern that keeps rearing its’ big, ugly head in the back of my brain; that I am becoming intolerant to the medication, that is my lifeline. It is a scary, but realistic fear. 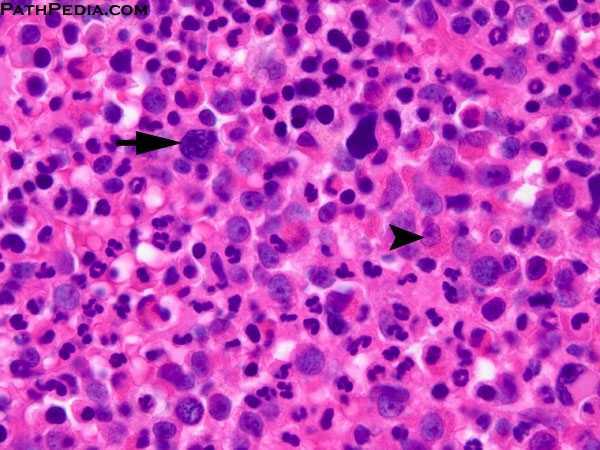 Chronic Myelogenous Leukemia is a type of leukemia that is caused by a chromosomal switch. My number nine and my number twenty-two chromosome, for some strange reason, decided to swap places, creating a new chromosome called the Philadelphia Chromosome. This Philadelphia Chromosome results in my bone marrow making an abundant amount of immature white blood cells, which not only crowd out healthy red blood cells and platelets, but also do not allow my marrow to make healthy white cells, either. It is kind of like a switch that used to have the ability turn off and on as needed, that now, because of the presence of the Philadelphia Chromosome, is stuck in the “ON” position. Sprycel is a “TKI”, also known as a tyrosine kinase inhibitor. This inhibitor is what keeps people with CML alive. It prevents the chromosomal switch, so that your bone marrow is able to keep the healthy balance of white cells, red cells and platelets in balance. Sometimes, the Bcr-Abl protein is smarter and stronger than the medication, and it mutates into another gene, and once again takes over the bone marrow. This is the “red-eyed monster” that scares me. Without a TKI that is able to block this protein, the only other choice is a bone marrow transplant. So, for right now, I am just going to focus on the increase in Sprycel as a “good” thing and that it is going to begin reducing my Bcr-Abl gene; again. If it does not, there are other TKI’s that are on the market; three new ones Bosutinb, Ponatinib and Synribo and two old ones; Gleevec and Tasigna. I know very little about the new ones, other than they have very recently been approved for use in the United States and what I know about the older ones is that they come with much more, severe side effects, than the Sprycel. I suppose that that leaves me keeping my fingers crossed that the Sprycel will begin, to once again, do its’ job. I am not certain whether it has been the move, settling in, all of the traveling or just plain denial; but it has been quite some time since I last updated all of you. As you may remember, last March my Polymerase Chain Reaction (PCR) test came back a bit higher than the previous test; my doctor was not overly concerned and felt that it was within “lab error” and decided to wait until my next PCR, two months later, to see if I was in an upward trend, status quo or back on track. Unfortunately, my next PCR test revealed that I am on a bit of an upward trend; meaning that instead of my Bcr-Abl gene decreasing, it is increasing. My test in May was 1.15 x 10-4 and my test in August was 3.89 x 10-4; not a huge increase, but three steady increases in a row, nonetheless. This came as a bit of a blow, as I have been decreasing my Bcr-Abl in leaps and bounds since I had started taking my Sprycel, eighteen months ago. It never even occurred to me that this might happen. I simply believed that I was just going to skate my way, right into negative territory, and stay there. It now seems that this is not going to be the case, and that changes are going to have to be made. It is not easy, accepting the fact, that as much as I believed that there would never be any complications or set-backs, I am only deluding myself. I must now pick up the boot-straps, look in the mirror and simply say, “OK, you win this round, but the next one is mine!” I must put my “face reality” hat on and accept the fact that I am not always going to win every battle. For the past eighteen months, I have been counting down the days, until I could reduce my medication; it seems as though I should have been counting the days that it was actually doing its’ job, instead. Since my last three PCR results have been increasing, instead of decreasing, I am going to have to increase my dosage of Sprycel from 100mg, six days a week, to 140mg, five days a week. I realize that this only increases my intake of Sprycel 100mg per week, but because of the side effects and strength of this drug, my doctor wants to take “baby” steps. He wants to determine the lowest possible dose to decrease the PCR-Abl gene, with the least amount of damage, to the other organs in my body. This is definitely not something that I had anticipated; I was impatiently waiting for the big “D”ecrease to come, when in fact, I just got slapped with an “IN”crease. Doesn’t that just, figure! Once again, I am reminded to stop “making plans”! So, for now, I will increase my Sprycel and play the waiting game. Please feel free to throw a few prayers my way and hope that this small increase will be all that I need, in order to make a U-Turn and head right back down that slippery slope to Negative-ville!